Here in the West we don’t like to think of cycles or circles or anything that isn’t linear or forward moving. Because we are so determined to continue to move forward we fail to see the value and the expression of cycles. Often, in our culture, if we are not moving forward then we perceive that we must be moving “backward” and this is experienced as a failure. We like to forget our past and imagine that what has occurred in the past is behind us. We say things such as, “Oh, I am finished with that…” Personally, I don’t think that life works that way. Sometimes we have to circle back. This is not a failure but an act of courage. Algae is round. There are circles within circles contained within even more circles. 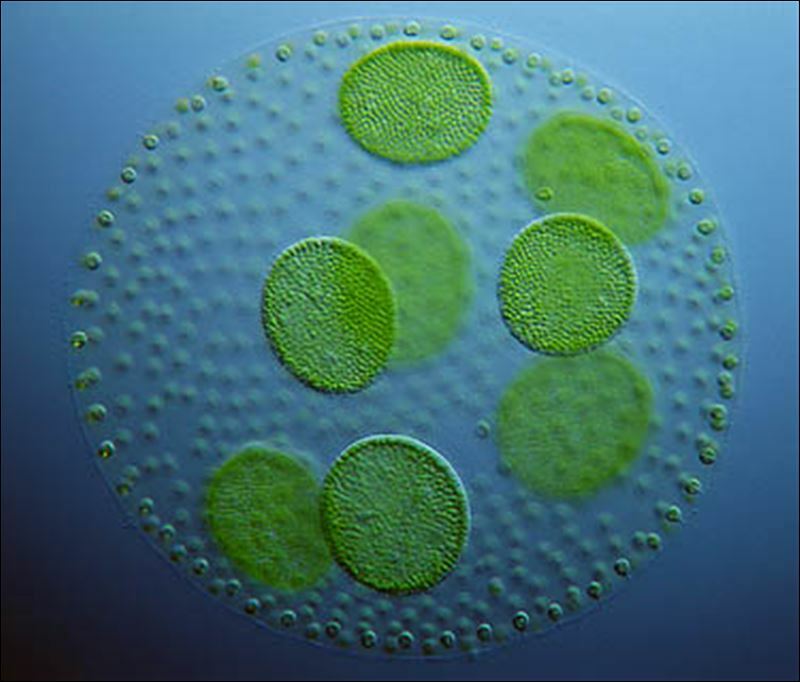 For the last 3.6 billion years simple cells, such as this algae, were the first life forms here on earth. I bring up algae because with a simple misspelling on Google, you might find yourself reading about ALGEA. Algea (not to be too confused with Algae) are the spirits or animated energies for the ancient Greeks. The Algea were the expressions of pain and suffering- sorrow, distress and GRIEF. Why would ANYONE want to circle back and have a visitation to the Underworld? With its demons, monsters, terror and anxiety why not just ignore it- what is in our past? The hint, for me, about the importance of circling back to the Underworld and the experience of the spirits of Algea lies within the simplicity of green algae. The thing about algae is that it can be both a very simple unicellular organism OR a multicellular organism. Algae occurs in fresh or salt water or moist ground. There is a very simple intelligence to algae. Grief to me feels a lot like the organism of algae. Sometimes grief feels quite simple- like a simple single celled organism and sometimes grief feels like it belongs with us from beginning of time. Grief brings you down to the moist earth- right down to your knees. To me, grief never feels like it is just singular. 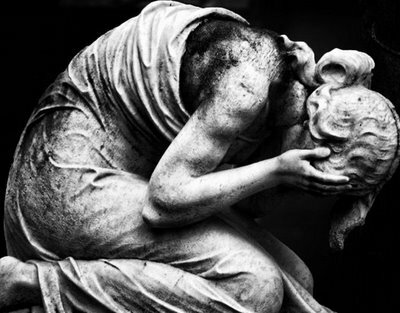 Grief opens up the complexities of feeling a lifetime of losses, betrayals and disappointments. In this way, grief feels complicated- multicellular. If we can trust that algae has somehow survived over the last 3.6 billion years, then I think that we might just be able to learn something from its staying power. It knows how to live. I have been recently begun to study a method of healing that relates directly to the language of cells. Within this healing modality is the notion of cycles… that trauma and pain repeat themselves in cycles. Our cells, too, are round. Pain, grief and trauma are never isolated. Within the cycles there is a wisdom- something that not only wants to heal but will create a conflict of illness unless and until it is healed. If we ignore the visitation of the Algea, the spirits (daimons) of grief, then we also ignore the potential to grow, heal and eventually thrive. If we pay attention to algae (the earliest form of life on earth), then we might learn something about surviving in the “wet lowlands” of grief- having to simplify our lives. Grief creates an environment where there is not a whole lot of extra energy to expend. Just enough- just enough for life to feel a bit like pond scum or floating kelp. The simple floating allows us to see and feel what is most important in our lives and what things need to just go away until we can feel strong enough to crawl up out of the ocean. When we are able to find our legs once again and regain footing back onto the earth then, and only then, is it time to move forward. Until then, allow the space to just float, to just be still and quiet and to just grieve even without even needing language yet. For those responding to those in grief, just keep it simple. Sometimes just floating alongside someone with grief is just enough.